Performing Hajj or Umrah is an act of worship, so must be performed peacefully and with devotion. There are a number of simple, yet important things you should do prior to undertaking this unique journey in order to get into the right frame of mind. Following are some tips which will help you to prepare yourself mentally and spiritually before and during the journey. Your intention to perform Hajj or Umrah must be solely for the pleasure of Allah. In the case of Hajj, your intention should also be to fulfil a compulsory obligation and to be obedient to the will of Allah. A time will come when wealthy people perform Hajj solely for the sake of tourism and relaxation. The middle class will perform Hajj for the sake of trade and business. The poor will perform it for the sake of begging. The qurra (reciters of the Quran) and ulama (scholars) will perform it for prestige and fame. Throughout the journey, constantly ask yourself why you’re investing a great deal of time, effort and money for the trip. Your answer should always be that it’s for the sake of Allah. These regular internal reminders will help you to be patient when faced with inevitable trials during your journey and will allow you to maintain a strong connection to Allah. Make a serious effort not to criticise or get angry during your journey. Remember everything happens by the will of Allah and more often than not, you will face a trial that is inevitable and unavoidable. Don’t criticise or get frustrated at your travel agent or tour operator if things don’t go as smoothly as you’re expecting. Remember, they are trying their best and often times, situations may arise that are out of their control, especially during Hajj. Before your journey stats, seek assistance from Allah, asking Him to allow you to perform the rites of Hajj and Umrah in the manner that they should be carried out. You should also ask Him to allow you to observe proper etiquette during your journey and in the sacred lands of Makkah and Madinah. Express regret and remorse over past sins and make amends for those offences where possible. Desist from those sins immediately. Make a firm intention (i.e. a resolution) not to return to those sins in the future. Merely repenting verbally, without fulfilling the above-mentioned criteria, does not constitute a proper repentance. Perform two rak’ahs of salah with the intention of repentance. After the salah, send salutations upon Rasulullah ﷺ. Seek forgiveness by making dua with complete humility and submission. Cry if you can and beseech Allah as much as possible. You should repent from your minor and major sins with absolute sincerity. Don’t sever relations of kinship, don’t bear enmity against one another, don’t bear aversion against one another, and don’t feel envy against the other and live as fellow brothers as Allah has commanded you. The non-observance of salah, fasting in Ramadan and zakat must be rectified prior to your journey to the best of your ability. To do so, seek forgiveness for missing these obligations as described above. You should then resolve to do qada (paying in) of any mandatory acts of worship you may have missed after having reached the age of puberty. Outstanding prayers and fasts should be calculated and made up. If you haven’t paid zakah for a number of years, calculate the amount due and pay it. If a calculation is impossible, make an estimation. If it is difficult to complete the qada before travelling to Hajj or Umrah, an effort should be made to complete the qada in Makkah and Madinah. If you have a debt or any other monetary obligation towards anybody, settle it with them. Where appropriate, obtain a receipt of the transaction for future use. If the creditor has passed away, you must settle the debt with person’s heirs and ask them for their forgiveness. If you can’t locate the individual or the individual’s family, give the sum of the debt to charity in the name of the creditor. It’s impermissible for someone in debt to perform Hajj without the creditor’s permission. This ruling does not apply to debts that are due at some point in the future. If you feel that is impossible to repay the debt, make a firm intention to do so in the future and appoint somebody to fulfil the remaining amount in the event of death. If you die with debt and an arrangement to fulfil the debt on your behalf hasn’t been made, the creditor will be repaid with your good deeds on the Day of Judgement. If you have a possession that you been entrusted, as an amanah or otherwise, you should return it to the rightful owner before your journey. Certainly a time will come when people won’t be bothered about the source of their income; whether it was lawfully earned or unlawfully earned. 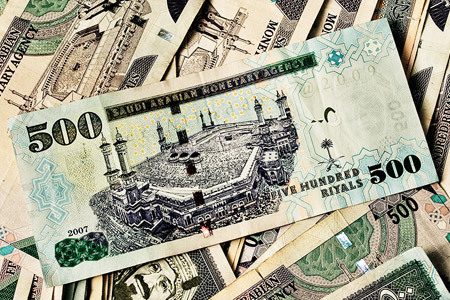 Although the ritual of Hajj would be considered fulfilled if performed with unlawful (haram) money, it won’t be accepted nor would there be any reward for it.